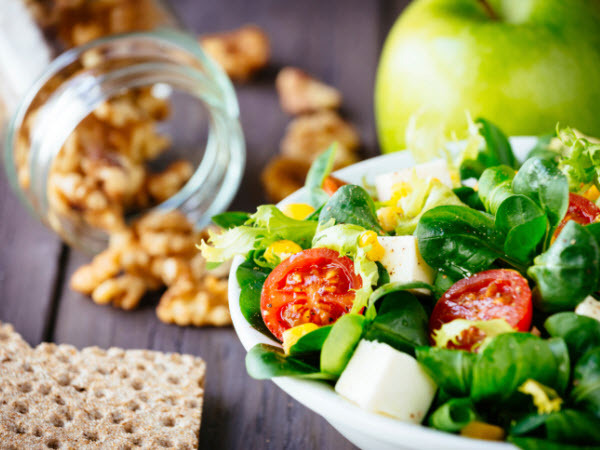 Vegetarian and vegan diets, appropriately planned with the guidance of an RDN, can be nutritious and healthful for people at all stages of life, according to a revised position paper from the Academy. Hultin is a health writer and recipe developer who specializes in plant-based recipes, herbal remedies and botanicals, including supplements and vitamins. Sheth is the owner of a nutrition consulting practice focusing on diabetes, food allergies, obesity/weight management, gastrointestinal and cardiovascular nutrition and disease prevention. Petitpain is the wellness director at Sodexo's office of health promotion at the Medical University of South Carolina. She specializes in African-American nutrition, disease prevention, men's nutrition, vegetarian and vegan nutrition and wellness. The dietary treatment of arthritis has been a topic of interest in recent years due to a multitude of innovative and emerging research. The Academy of Nutrition and Dietetics recommends any pregnant woman who is abusing alcohol or drugs, suffers from iron deficiency anemia, follows a vegan diet or generally has a poor-quality diet should take a multivitamin and multimineral supplement. 09/14/2016 - The Academy supported the last review of the food package in 2006, and the significant changes made to the food packages. A very-low-fat vegan diet increases intake of protective dietary factors and decreases intake of pathogenic dietary factors. However, fortification could play a role if and only if concerning vegan or vegetarian options, but not to replace meat or disguise, hide, or stretch meat products.